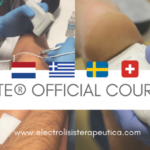 WHAT IS EPTE® or PERCUTANEOUS ELECTROLYSIS THERAPY? 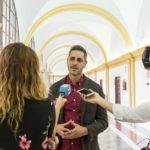 HomeWHAT IS EPTE® or PERCUTANEOUS ELECTROLYSIS THERAPY? 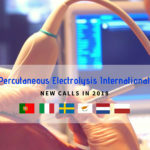 Percutaneous Electrolysis Therapy EPTE ® is a groundbreaking technique in the treatment of tendinopathies. The tratement with Percutaneous Electrolysis Therapy it’s fast, effective, and envolves minimal pain for the pacient. If you want to use the EPTE ® tratement, you need to know that it shortens recovery times and minimises treatment costs. EPTE ® is the first electrolysis treatment device to attain the CE marking, demonstrating its safety and conformity with CE directives. The treatment with Percutaneous Electrolysis Therapy involves applying a modulated direct electrical current directly to damaged soft tissue via an acupuncture needle, inducing the tissue’s recovery. Percutaneous Electrolysis Therapy induces our body’s own healing reaction in the treated area. Using EPTE ®’s intensity modulator (μA/ cm2) you can produce a controlled inflammation, necessary for the recovery of the tendinopathie. The low-intensity micro-currents are usually not felt by the patient. In just 48 hours, the patient will recover movement range and any pain will be significantly mitigated. Percutaneous Electrolysis Therapy is effective for treating tendinopathies in all types of patients, from elite athletes and professional sportspeople to people presenting with everyday injuries. Thanks to EPTE ®’s high success rate, thousands of patients have experienced the resolution of their tedinopathies. What are the benefits of using EPTE ®? 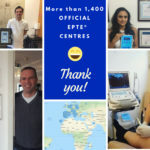 The EPTE ® percutaneous electrolysis therapy it’s a technique that activates the first phase in any regenerative process, which has stopped in all tendinopathies. The process of electrolysis destroys degenerated tissue and induces a natural inflammatory that is necessary for regeneration of healthy tissue. What injuries can EPTE ® treat? Physiotherapist will apply Percutaneous Electrolysis Therapy to patients who have suffered tissue damage or for whom a more conservation form of treatment has been unsuccessful. After applying EPTE ®, the physiotherapist may apply compressive bandaginge. It is important to not apply ice or taken any anti-inflammatory drugs after Percutaneous Electrolysis Therapy treatment. To obtain best results you have to apply a regime of eccentric exercices and the application of heat should be commenced a few days after each EPTE ® treatment.